Traditionally boiled, baked, roasted and fried, breadfruit can be ground into a flour which could then be used to make bread. It’s also high in energy from carbohydrates, vitamins, low in fat, and has more potassium than ten bananas. The protein in the fruit has a higher proportion of aminio acids than soy. 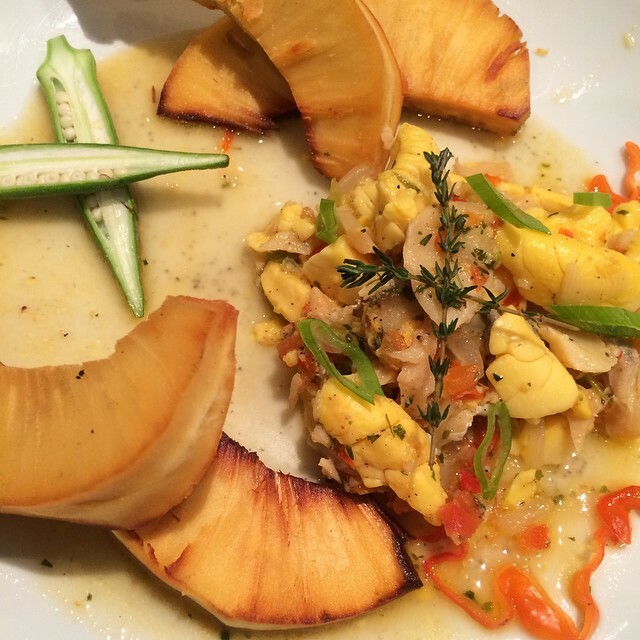 Jamaicans love roast breadfruit with ‘run dung’; corned pork; with Jamaican jerked chicken or pork along with Jamaican jerked/fried fish, are among the favorites. 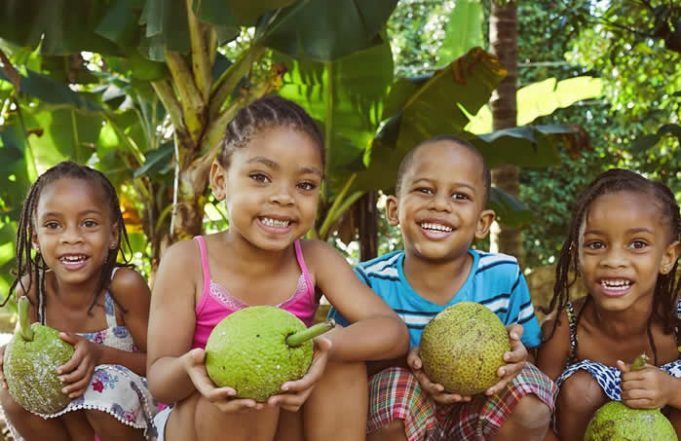 An annual Breadfruit Festival, started in 2005, held in July in Jeffrey Town, St Mary, Jamaica, has featured an amazing variety of dishes made from breadfruit including traditional roasted or boiled breadfruit; breadfruit jam; breadfruit pie, cake, or pudding; breadfruit punch; and even breadfruit wine. Breadfruit, a seasonal fruit that is available in abundance between May and August, grows on tall trees in tropical areas like Hawaii, Samoa, and the Caribbean. Breadfruit could provide food security on our island, which imports more than half of its food, experts believe. More Breadfruit are produced per hectare than rice, wheat and corn, New Scientist reported. Yes, when ground as wheat-free flour, but it can be grated, sliced, dried and ground; hence in Jamaica it is used in dumplings, fritters, salads, porridge, muffins & puddings. Breadfruit can also be used to make chips served Jamaican pear dip (avocado), potato chips, salads like potato salad, it can be roasted, fried, creating packaging industry for various snacks. In Jamaica, breadfruit chips are available at a range of supermarkets and outlets islandwide. As the history goes, it was brought to Jamaica from Tahiti by Captain William Bligh on his second voyage to the South Pacific in 1793. His main reason for introducing breadfruit to Jamaica was to feed the slaves.